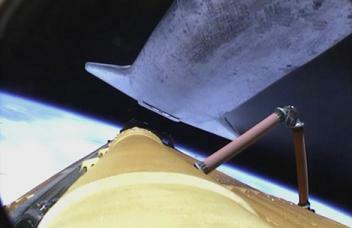 Providing stunning images of the grand finale of the Shuttle Program, the External Tank (ET) camera on ET-138 concluded a 22-flight legacy – beaming back images of the tank’s performance through ascent. However, a camera modification was ultimately unsuccessful in transmitting much more than static footage of the tank as it tumbled into Earth’s atmosphere for its death plunge into the Pacific ocean. 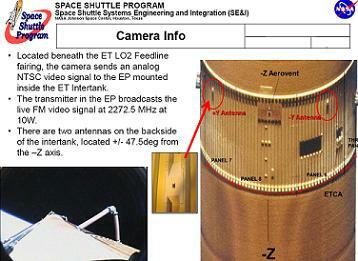 As was the case 21-times before, the ET engineering camera on the LOX feedline of the External Tank functioned perfectly through pre-launch and launch activities during Space Shuttle Atlantis’ historic and sentimental journey to Low Earth Orbit on July 8. During the launch of STS-135, the ET camera provided NASA managers and DAT (Damage Assessment Team) personnel with an early look at the tank’s performance as well as any areas of Atlantis’ TPS (Thermal Protection System) that might have been dinged by small foam liberations from the tank. In all, the quick-look assessment enabled by the ET camera led to the understanding that this was one of the most – if not THE most – clean External Tanks in the history of the Shuttle Program: an in-flight tribute to the hard work and dedication of thousands of NASA engineers and the honorable workforce at the production facility in New Orleans, Louisiana. This quick-look assessment of Atlantis’ TPS was confirmed on FD-2 and FD-3 of the STS-135 mission when it was revealed that Atlantis had sustained only one lower-surface TPS ding from ET debris. But while the camera (a Sony XC-999) and its systems worked perfectly on every single one of the 22 post-Columbia Shuttle missions, the camera actually debuted on STS-112, providing images up to SRB separation when debris covered the camera lens and prevented further clear image downlink. Moreover, the camera’s primary use on STS-112 – a mission by Atlantis in October 2002 – was for PAO launch coverage purposes and not for engineering assessment of the Tank’s TPS performance – an ironic use considering the rather significant foam liberation event that occurred on STS-112 and subsequent foam liberation event on STS-107/Columbia that ultimately made the camera mandatory for tank engineering assessment purposes. 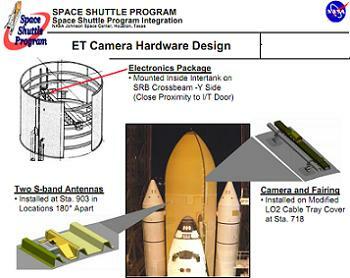 Debuting in what would be its nominal configuration on the STS-114 Return To Flight mission by Shuttle orbiter Discovery in July 2005, the ET engineering camera was the first step in a scaled build-up of the Enhanced Launch Vehicle Imaging System, which eventually included four total cameras on the SRBs, an orbiter ET Umbilical Well camera for post-ET/Orbiter separation imagery, and a “lipstick” camera on the orbiters’ forward-facing pilot’s windows to capture LO2 Ice Frost Ramp foam liberations during ascent. Over the course of their use by the Shuttle Program, the 22 post-Columbia ET engineering cameras proved their worth time and time again. Using a 3.5 mm lens to provide a near 100-degree field of view, the cameras captured both amazing ascent footage and carried out their primary task of observing and timing any TPS foam liberations from the tank and any resulting impacts on the orbiter by offering a look at the vicinity of the tank’s bipod attachment area, the portion of the External Tank where the liquid hydrogen tank and intertank ﬂange areas are adjoined, and a portion of the bottom side of the Orbiter. The cameras themselves, from STS-114 through STS-135, were mounted inside the ET’s liquid oxygen (LOX) feedline fairing – a metal covering that protects the area where the fuel feedline penetrates the inter-tank structure and begins its journey down the exterior, orbiter-facing side of the ET. Moreover, a section of the 1500 page INCO systems handbook – available for download on L2 – states, “The ET LO2 feedline fairing camera is powered and controlled automatically from the electronics package mounted on a support beam located between the LO2 and LH2 (Liquid Hydrogen) tanks. Furthermore, each camera’s battery pack included 20 nickel-metal hydride batteries, which provided approximately 28 volts DC to the camera. The batteries themselves were designed to function for about 70 minutes to allow for three launch attempts prior to recharging/replacing of the batteries. Nonetheless, the camera systems were designed to automatically switch the system off 15 minutes after liftoff – regardless of battery life potential. To enable transmission of live images from the camera, each camera was attached to two “blade” S-Band antennas with a frequency range between 1.55 to 3.9 gigahertz. Each S-Band antenna was about 2.5 inches long, transmitted a 10 watt signal to ground stations, and was located on the opposite side of the ET from the Orbiter – +/- 47.5-degrees to the side of the ET’s centerline. 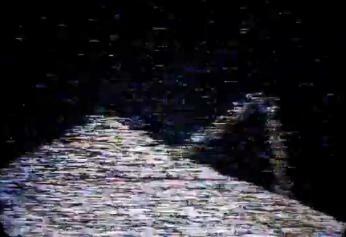 During ascent, video from each camera was downlinked from the ET to several different NASA data receiving sites before being relayed for broadcast on NASA TV. The last of these receiving ground stations along the Shuttle stack’s flight path was Wallops Flight Facility on the eastern shore of Virginia. 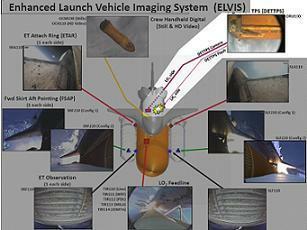 While it was never a certainty that the extended transmission of video from the ET-138’s LOX feedline camera would prove fruitful, the effort to attempt to gain never-before-seen images of the External Tank after its separation of an Orbiter was undertaken by Michoud Assembly Facility (MAF) engineers at the request of the Space Shuttle Program. The actual modification to the ET camera was made with relative ease in late-June by the “clipping” of a single wire in the EP to “disable the timing circuit” used to deactivate the camera 15 minutes after liftoff. However, from the very beginning, the PRCB request presentation made it clear that actually obtaining video from the camera after the tank passed downrange of Wallops was going to be extremely troublesome. 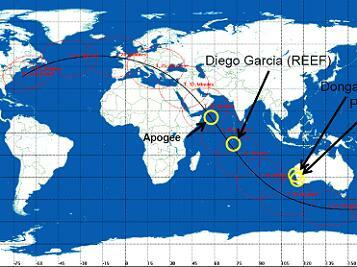 Additional ground stations in Dongara and Perth, Australia were evaluated but ultimately dismissed since they lay too far north of the ET’s projected flight path. Furthermore, “A potential lead was pursued for a US Army base in Kuwait (Camp Arifjan), but they [were] not configured to receive analog FM TV from orbit,” noted the Signal Acquisition presentation. Aircraft usage via the HYTHIRM project from the Langley Research Center were presented, but no aircraft were available for a July 8 launch. Finally, teams looked at acquiring the camera’s transmissions via the TDRS (Tracking and Data Relay Satellite) network, but the satellites were not capable of being configured to receive an analog FM TV signal. In all, part of the problem in planning to acquire the transmission from the ET was in the designed flight path of the ET over open ocean. Specifically, each Shuttle mission’s ascent profile was specifically designed so that the bulk of the ETs flight paths were over the ocean. More so, each Shuttle mission’s ascent profile was carefully designed to ensure that the ET would destructively reenter Earth’s atmosphere over the ocean and avoid, by a large degree, any populated land masses and heavy-use shipping lanes. 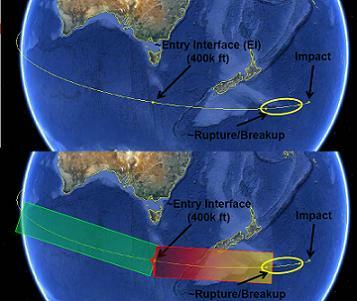 For the majority of the Shuttle Program, this resulted in the destructive disposal of the External Tanks over the Indian Ocean and the southern Pacific. One notable and recent deviation from this was the disposal path for the ET from the STS-125/Atlantis mission to the Hubble Space Telescope in May 2009. That disposal path tracked a few hundred miles southeast of the Hawaiian islands to a few hundred miles west of the western coast of Mexico. But the flight and disposal paths were not the only thing that played against the odds for the STS-135 endeavor; the considerable lack of knowledge regarding the ET’s post-Orbiter separation attitude also factored into NASA’s effort. 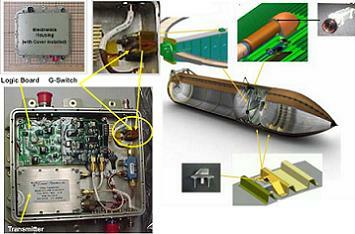 As noted by the PRCB presentation, “There is no attitude control for the tank during entry. Shortly after Orbiter sep, the tank is regularly observed displaying a slow 3-axis random tumble. Thus, any TV reception of the tank would have been unpredictable and intermittent at best – as proved by a very, very brief and static-filled image received as the ET tumble over Europe about 25 minutes after launch. Additionally, “It is presumed that after EI a plasma sheath will envelope the tank and either prevent or make very difficult any subsequent TV signal transmission and reception,” notes the PRCB presentation. Because of the lack of knowledge of ET death dynamics, NASA was unable to confirm if a plasma blackout condition would interrupt TV transmission signals from the ET prior to its breakup. (Images: Via L2 presentations and NASA.gov. Further articles on Atlantis will be produced during her down processing, driven by L2′s STS-135 Special Section which is continuing to folow the mission at MMT/MER level through to post flight IFA, surrounded by a wealth of FRR/PRCB/MER/MMT and SSP documentation/pressentations, videos, images and more.